The EdgeMax ES-48-500W series multilayer switch is a high class device that will meet the requirements of the most demanding users. The device is designed to effectively perform switching operations for developing networks. The device is distinguished by a high capacity, solid construction and very favourable price to quality ratio. 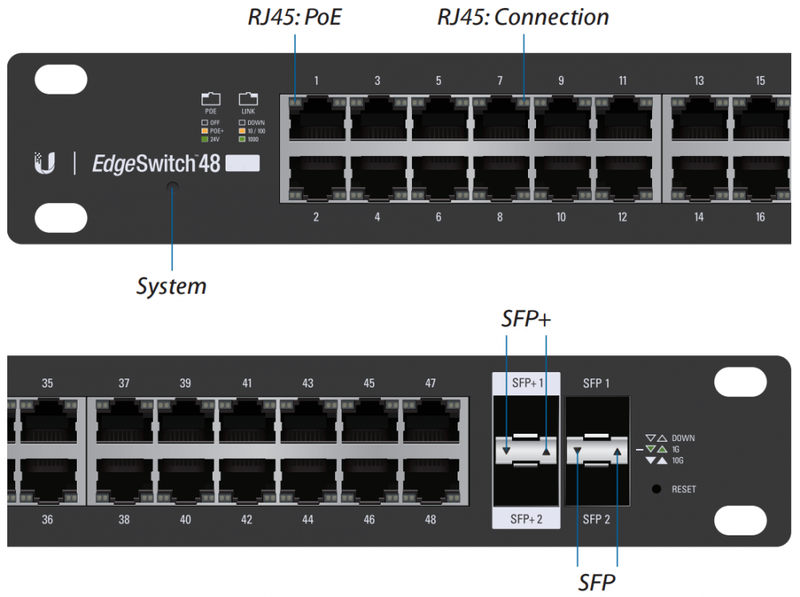 It is equipped with 48 Ethernet RJ-45 ports. It is IEEE 802.3af and IEEE 802.3at standard compliant. The switching capacity is 140 Gbit/s. It can be mounted in a rack. It is CE, FCC and IC certified. The device supports PoE. It can be used at temperatures ranging from -5 to 40 degrees Celsius and a relative humidity of up to 95%. The device is based on durable components which results in quality and reliability as well as resistance to unfavourable weather conditions. It can be used at temperatures ranging from -5 to 40 degrees Celsius.